Hello Maja Friends, Elena is here today. 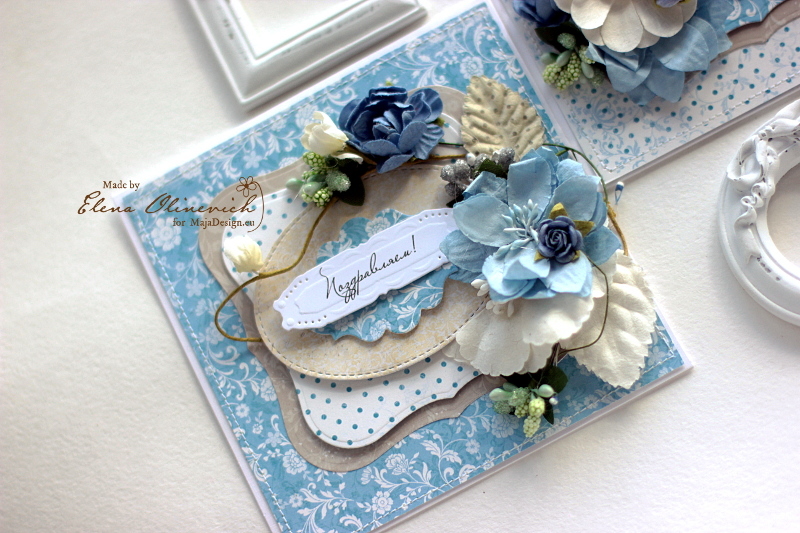 I enjoy making cards with in blue tones. 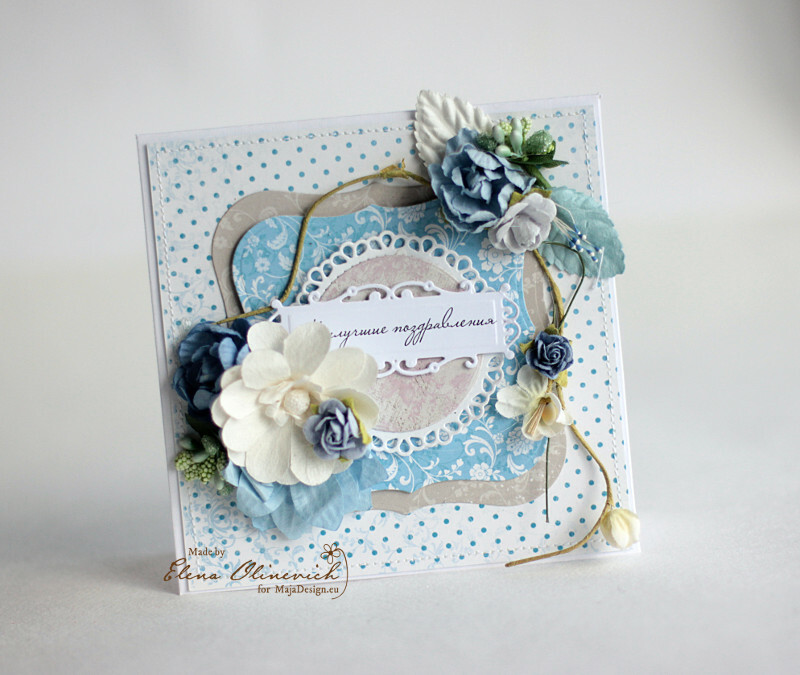 But I have already used so many times Vintage Basics collection, so that I decided to try something new. It’s quite an old one, however I thought it’s great for summer – beach -vacations ptojects, but now I see it can be used almost for any kind . 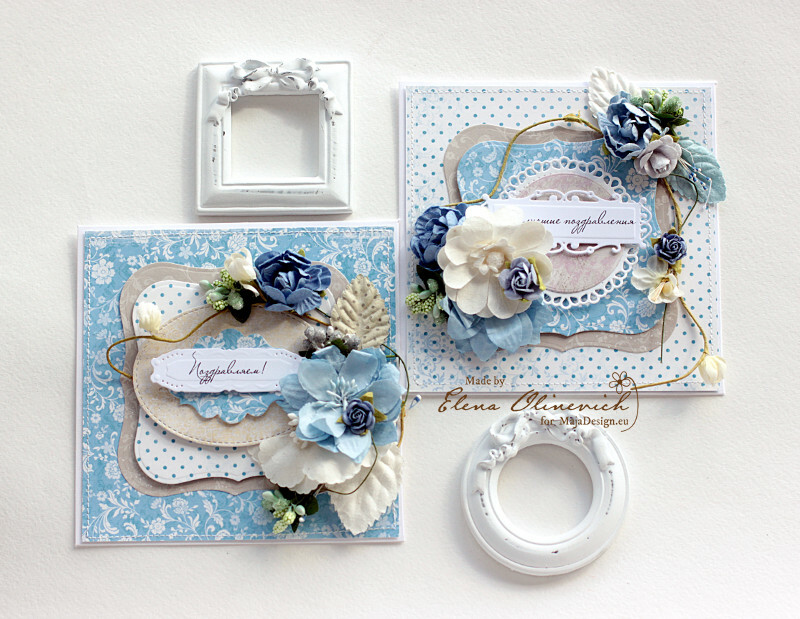 I took those papers, that have a beautiful vintage floral background and created a couple of cards, just changing the papers for any other layer. It’s great to mix them together and I like the result it has brought. I also tried to find the new flowers composition. Sometimes the sqaure shape makes it challenging for me. I also changes the center of the cards – the ovel and teh circle, and it makes a difference too. 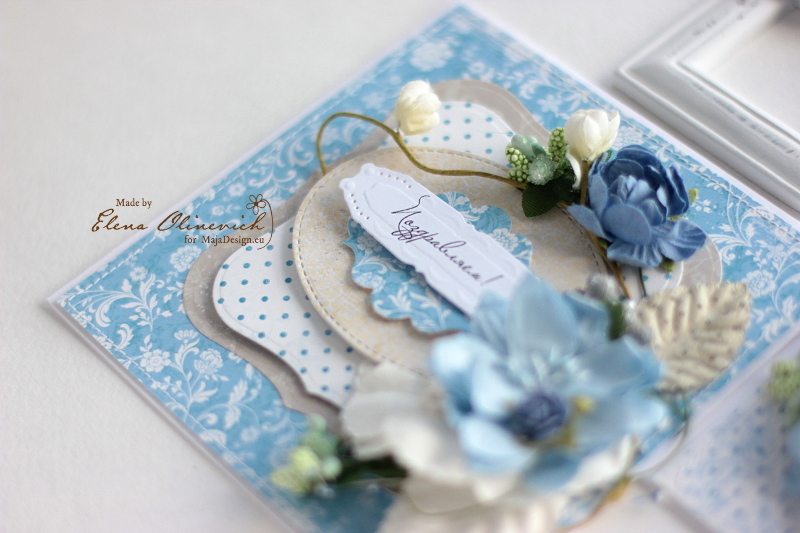 So try the new directions for you projects, especially if talking about the cardmaking. You will be amazed by the look. 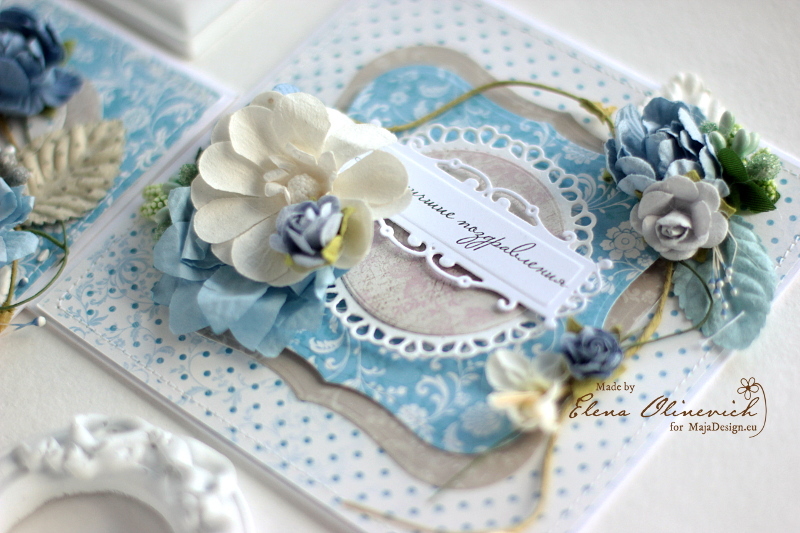 Spellbinders Dies, Prima Marketing Flowers. V ery beautiful cards here both of them. I´m a very “blue girl” myself, so I share your love of all kinds of blue and this is really gorgeous, and I love, how you made these, they looks really amazing and well made in every little detail. You did an awesome job on these. TFS with us here too. Have a wonderful week-end ahead now everyone.